Oby Ezekwesili has withdrawn from the presidential race, her media office announced early this morning. 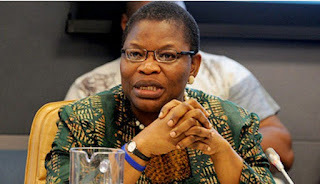 The presidential candidate of the Allied Congress Party of Nigeria (ACPN) will now devote her time "to help build a coalition to defeat the All Progressives Congress and the People's Democratic Party in the February 16, 2019 election", Ozioma Ubabukoh, the spokesperson of the Obiageli Ezekwesili Presidential Campaign Organisation, said in a press statement released to newsmen on Thursday, January 24th. Ezekwesili previously tried to get the trio of Kingsley Moghalu, Omoyele Sowore and Fela Durotoye to agree on a consensus candidate among themselves. Her decision to quit followed "extensive discussions with Nigerians at home and the Diaspora". Ezekwesili was quoted as saying: "It is my ardent belief that this broad coalition for a viable alternative has now become more than ever before, an urgent mission for and on behalf of Nigerian citizens. I have therefore chosen to lead the way in demonstrating the much needed patriotic sacrifice for our national revival and redirection. "I wish to state that over the past three months, I have been in private, but extended talks with other candidates to birth a coalition that would allow Nigerians to exercise their choice without feeling helplessly encumbered by the evil twins of #APCPDP. "While the deliberations continued, I never hesitated for a moment in my willingness and determination to sacrifice my candidacy in order to facilitate the emergence of the envisaged strong and viable alternative that Nigerians could identify with in our collective search for a new beginning. "My commitment to this promising political recalibration has been consistent and in consonance with my agreement, at the request of candidates under the Presidential Aspirants Coming Together (PACT) arrangement in 2018, when I consented to supervise the internal selection process as an outside observer passionate about building an alternative force. "However, despite resistance from the Allied Congress Party of Nigeria on these and other issues, I have decided that it is now necessary to show by action and example my determination on this issue by stepping down my candidacy so as to focus squarely on building the coalition to a logical conclusion. "We have no right to allow citizens give in to despair. We will #Fight4Naija together and prove to all that the mess, which the political class has now become, should not be allowed to destroy our spirits and nation. We are also determined to ensure that the message keeps resonating that our beloved country deserves better, and that we will get the best that we deserve. "From last year, when I joined the presidential race, I made it clear to Nigerians that the country has always had a 20-year cycle of change – 1958, 1979, and 1999. As such, 2019 begins another 20-year cycle, and together with all Nigerians of good will, I stand ready to play my part to ensure that we do not miss this golden opportunity to sing a new song. There is no more time to waste. Let's get to work!" Ubabukoh thanked Nigerians who supported Ezekwesili, saying that "every money donated to the campaign and funds spent will be accounted for in the coming days."